the first spring training game is tomorrow--finally! but instead of waiting until spring is over to write a blog, i'm doing something different this year. i thought it'd be a good idea to write a blog about how Michael's offseason went, including what he did, things he worked on, and how he spent his free time, before he and the team get back to the grind. so how exactly does an All Star/Silver Slugger/MVP Finalist prepare himself in hopes of having an even better season? 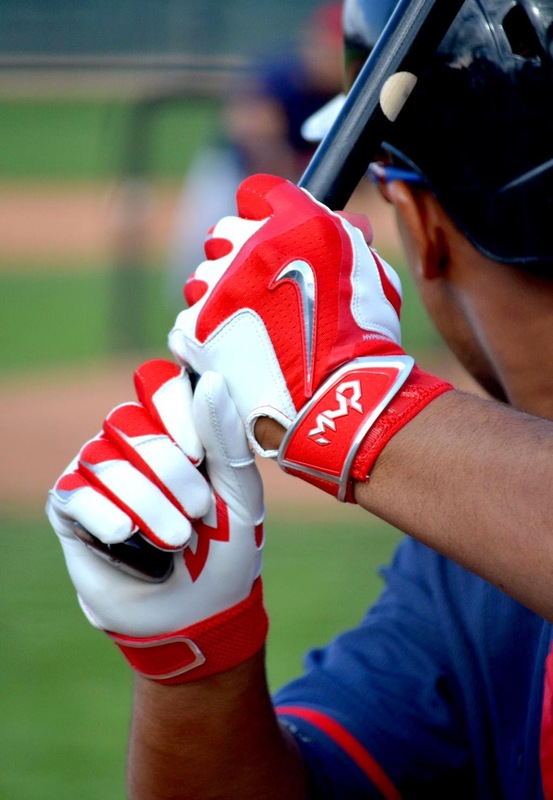 once the Indians' season concluded on September 27, 2014, Michael went home to Port St. Lucie, Florida. as per usual, he spent time winding down and hanging out with friends and family, particularly his father, Mickey. they went golfing and fishing. according to Mickey, his son has become a much better golfer than him. Michael and Mickey go on a lot of fishing trips on Michael's boat. they fish along Florida's Intracoastal Waterway for flounder from October through November before fishing for bass offshore. Michael is very skilled at balancing taking a break, getting some rest, and working on the things that he likes to do during the offseason. he believes that it's good to know yourself and your body, and have a routine to stick to in the offseason. so after about a month of leisure time, Michael slowly gets back into it. 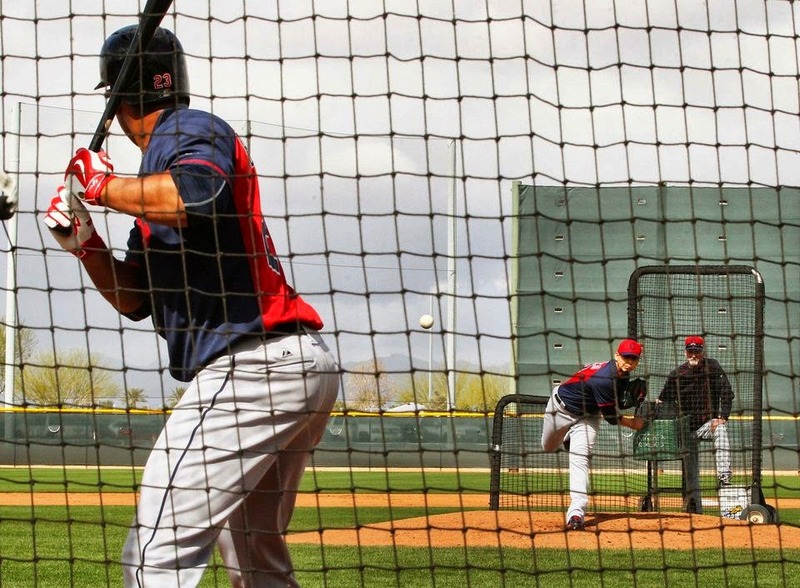 he begins his offseason training with his own personal hitting coach--former big league player and hitting coach, Mickey Brantley. yes, Michael trains with his father, because why wouldn't he? if you've got a former player at your disposal, you better take advantage. Michael starts off hitting three times a week. they gradually increase to four times a week and lastly build up to five times a week before Michael goes off to Arizona for spring training. 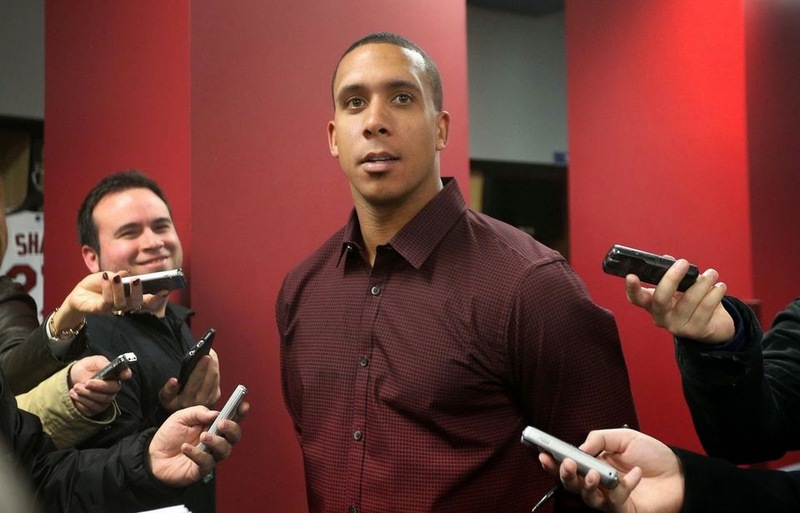 when Michael was in Cleveland for the Indians' annual TribeFest, he did many interviews. on January 23, 2015, he told reporters that he changed his offseason routine this year and had never trained this hard before in his life. "i revamped everything. i feel like i can get better and stronger. i was working out 5-6 days a week, 3 hours a day. i have an itch to start this year and [i'm] excited about it." in an interview with MLB Network on January 23, Michael said he'd been training to become a better base stealer. he really worked on the first 2 steps off the bag, making sure he wasn't taking any drop steps or losing any ground. he trained very hard to make sure he was going in the right direction, staying low as he started his first initial steps, and getting to 2nd or 3rd base as fast as possible. 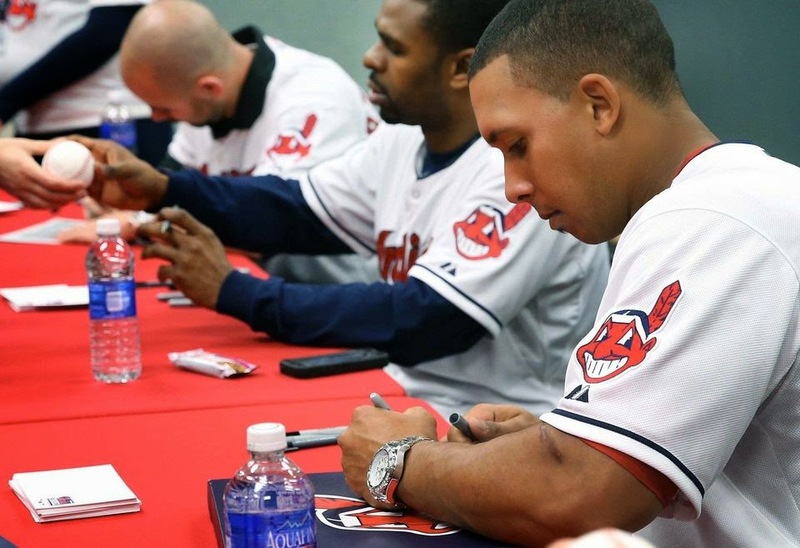 while at TribeFest on January 24, Michael did an interview with Jim Rosenhaus. he said he was feeling great and that his offseason was going really well. he was doing hard work, getting his lifting in, and training to get ready for the upcoming season. Michael determinedly stated how he wants to be just as aggressive, if not more aggressive in 2015. he cited making sure that when he gets that "one" pitch, he doesn't foul it off. all-in-all, he just tried to pick out the little things he does right and the little things he does wrong to narrow down the basis and enable him to do the best he can each and every day. some people who saw Michael at TribeFest commented that he appeared to have bulked up and looked bigger. his huge muscles were on display and he seemingly was in the best shape of his career. Michael refuses to call 2014 his career year because he feels that means he's leveled off and potentially given up on getting better. he just looks at it like another year and has set higher goals for himself for 2015. "you take what you learned from 2014 and bring it into 2015. i've worked twice as hard as i did last year in preparation for this year." Mickey also told Paul Hoynes that Michael's trying to at least duplicate last season, if not better it. it's no secret that Mickey had been advising Michael to change his approach at the plate for a while, and when Michael finally followed through with doing so in 2014, it delivered substantial results. but what did Mickey tell Michael to change about his game for this season? "my thing for him is working on trying to drive the ball out of the park the other way (left field)," said Mickey. "he's got power to center field, right-center field, and right field. they're going to be pitching him quite a bit away so we worked on hitting the ball the other way--either out of the park or over the outfielder's head." Michael's home runs always end up between center and deep right field, so i am really glad to hear that he may be adding some power to the left side of the ballpark to his repertoire. 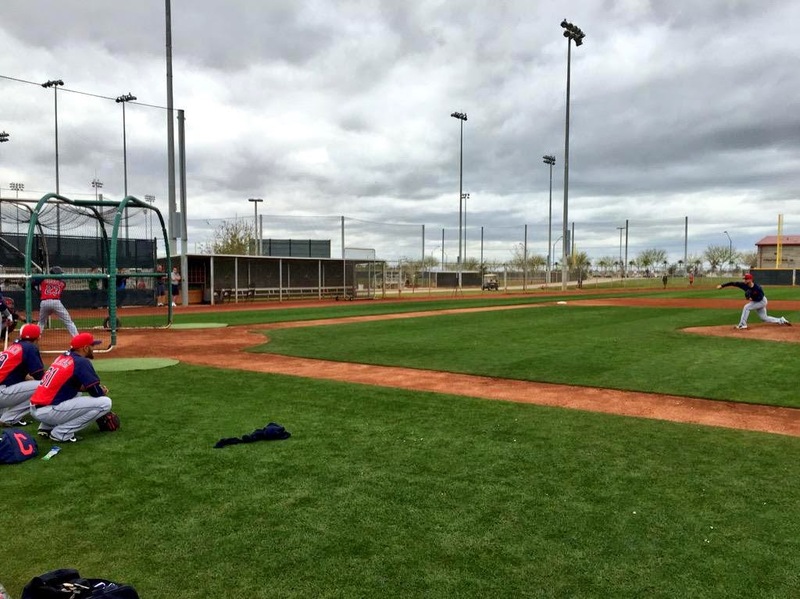 all players were expected to report to Goodyear, Arizona by February 22, yet almost the entire team was in camp by February 20. Michael, normally one to show up early, was one of the last to arrive on February 22. not like he didn't deserve to take as long of an offseason as possible after his tremendous 2014 season, but i think he had a bigger reason to soak up every last day he was allowed to be at home with his family. 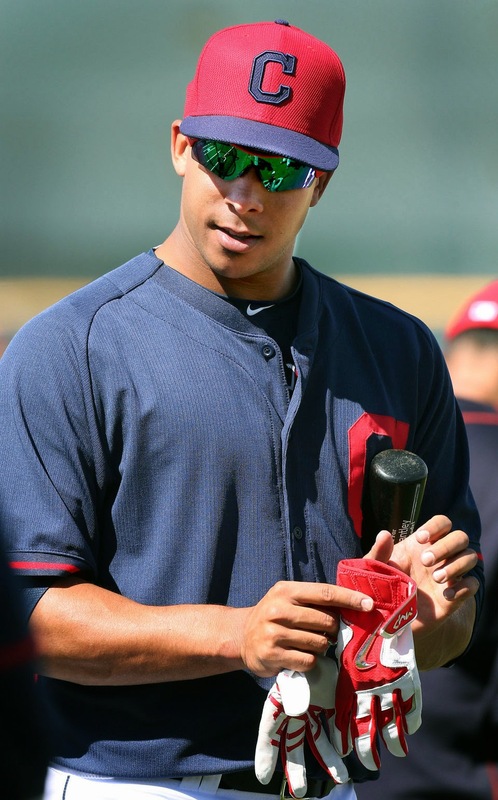 on February 23, Michael broke the news that his wife had given birth on February 10. finally, Michael Charles Brantley III has been born, and could potentially be in an Indians uniform in 20ish years! lol so it's a pretty safe assumption that Michael took the extra allotted days to be with his wife, newborn son, his other son, and baby girl, who is already just a few days shy of a year and a half. 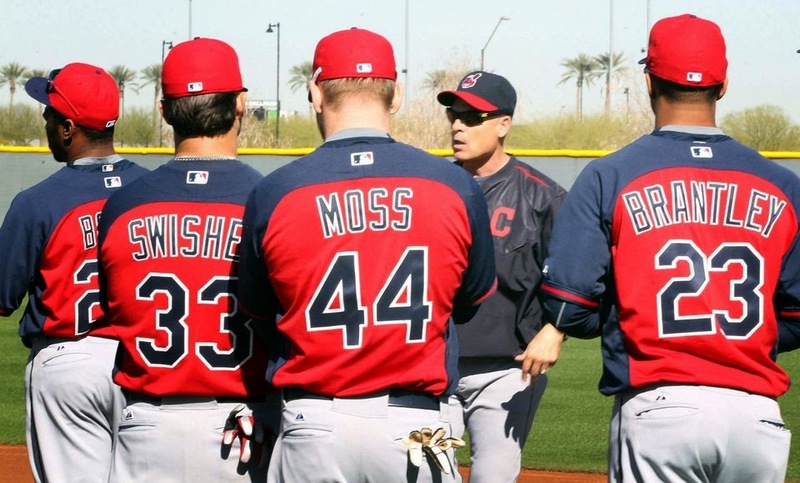 the news that Michael's wife was expecting again broke in November 2014, and i included that info in one of the many blogs i wrote during the Tribe's offseason. based on the pregnancy announcement date, i assumed she was at minimum 4 months along. so i guesstimated that the baby might be due sometime between March and May, and that Michael might have to go on Paternity Leave during the season and miss a potential 3 games. now it's clear she was ~6 months pregnant when Michael told the media. this couldn't have worked out better. Michael can now freely concentrate on spring training and do everything he needs to do without worrying about getting a call that his wife's in labor and having to miss any training time or games during the 2015 season. 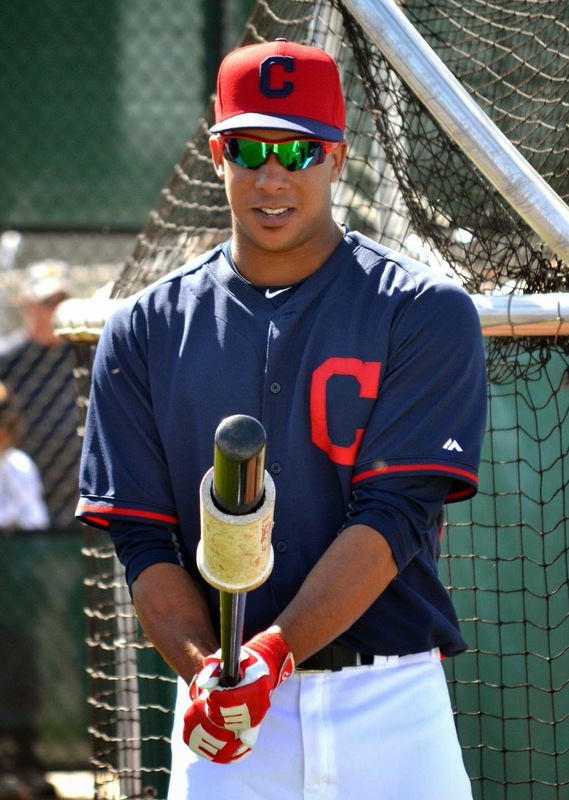 Michael had his physical and individual meeting with Terry Francona and Chris Antonetti on the 23rd as well. this meeting is where they discuss goals for spring and the season. according to Jordan Bastian, Michael is once again counting on that "daddy strength" (a double dose now) to give him a boost. "i was carrying that car seat. i had a car seat on one side and was holding my daughter walking on the other." he also told the media that he was really looking forward to the team's first full-squad workout (on February 24) and that he couldn't wait to get it started. remember, Michael said this was the hardest he's ever worked in an offseason, but did he work too hard? on February 24, the day everyone was finally going to work out together and start doing some drills, it was reported that Michael did not take part in the position players endurance test. apparently, he came to camp with some lower back soreness. 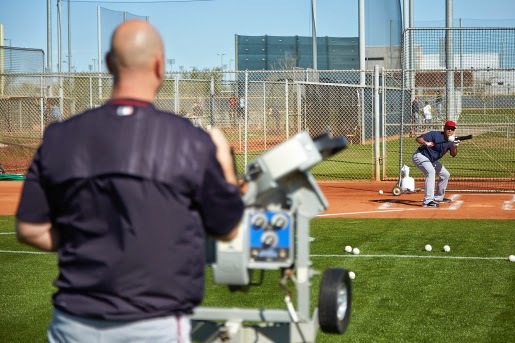 Tito said it wasn't serious, and Michael was still able to do outfield drills and hit in the batting cage indoors--the latter being something he would probably do for the next few days. 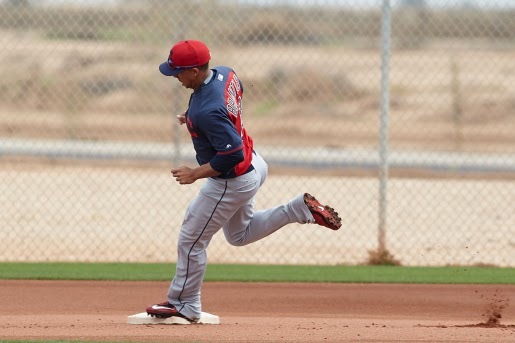 on February 25, Francona remained adamant that Michael was healthy, despite being careful with him. 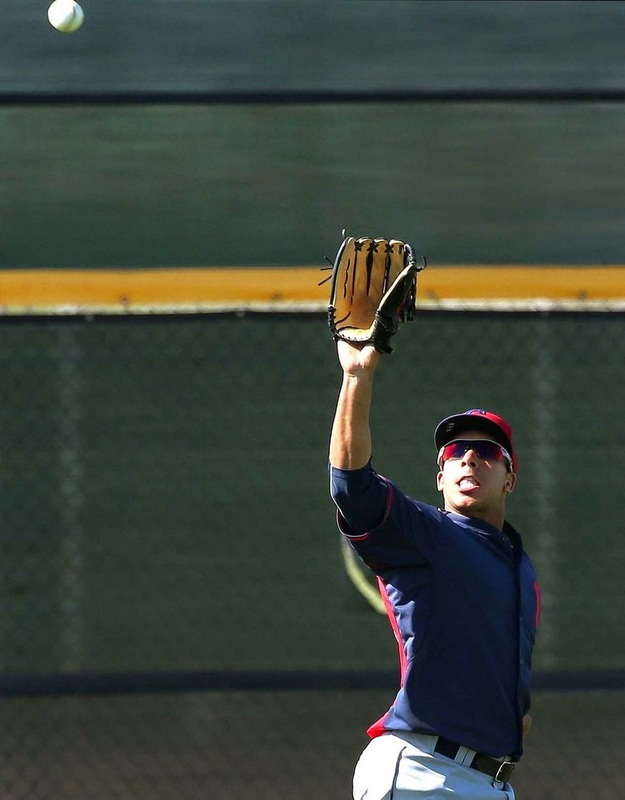 Tito claimed Michael was doing fine and that there was no reason for him to overdo it so early in camp. Michael did some stuff on the field that day, and was supposedly still getting all his work done. after that, i didn't hear anything more about his back being a hindrance. Michael was taking batting practice outside in the cages and doing baseball drills as if he had no restrictions. phew! see for yourself. so did all Michael's hard work in the offseason pay off? we will soon find out! earlier today on March 2, the Indians starting lineup for the game on March 3 was released, and it did not feature Michael. 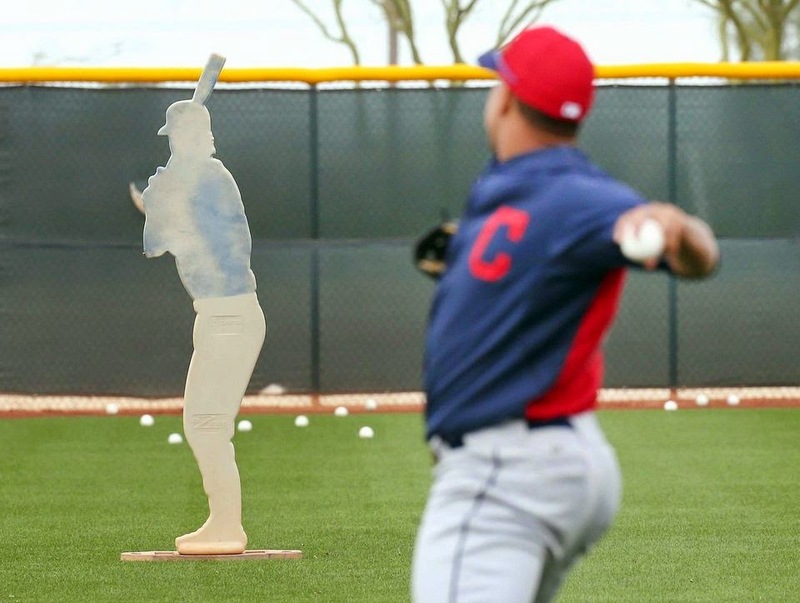 Francona said Michael would be making his Cactus League debut on Thursday, March 5. however, no reason was given as to why. was it simply to give other guys playing time first, or was the intent more precautionary because of Michael's back? that is one answer i do not have. if this is a problem that persists during spring games, i will for sure address it in my future blog wrapping up Michael's spring training numbers. here's hoping his back is fine and that he has nothing but good health (and good numbers) in the upcoming year! special thank you to Paul Hoynes, Jordan Bastian, Jim Rosenhaus, Zack Meisel, Marla Ridenour, and MLB Network for providing some of the information and quotes i used here.